Today we will check the performance of three cooler with 4 Ghz intel processor . 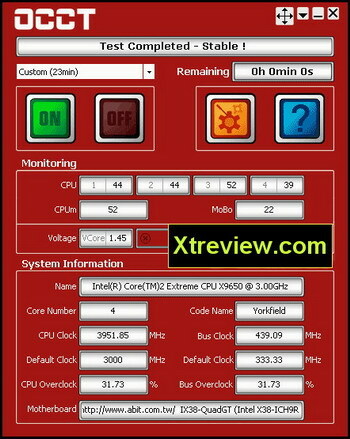 Since intel 45 Nm cpu demonstrated large overclocking capability it make sense to test how well perform budget cooler with such processor . We have tested all four budget cooling systems in two regimes: open case, ( motherboard placed horizontally ), cooler normal vertical position, and also in closed case ( motherboard vertical ) . 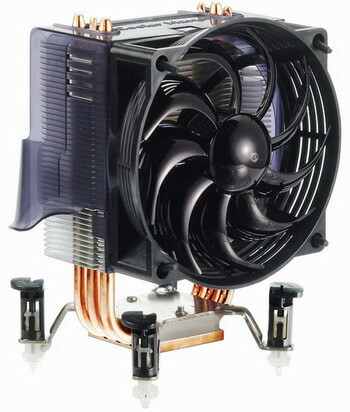 Power unit: Enermax galaxy EGA1000EWL 1000 watts (135- mm fan ). 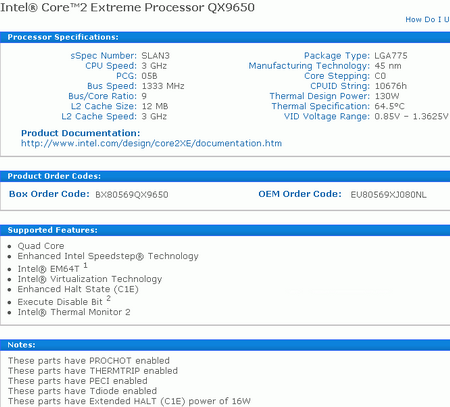 The Engineering sample processor intel core 2 Extreme QX9650 has the unlocked multiplier. 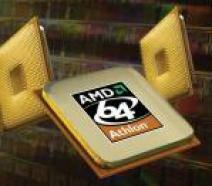 Note , that this so powerful processor in idle (energy economic state ) consumes only 16 watts. Note the bios voltage monitoring section show ~1.45 v as processor voltage . All tests were executed in Windows XP professional edition SP2 . 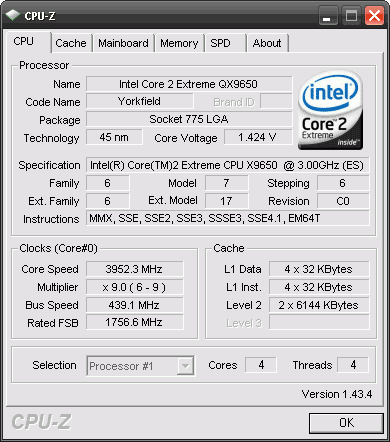 For monitoring the processor temperature we used the monitoring utility SpeedFa version 4.34 Beta 38, which supports (Core sensor\'s). All automatic fan speed technologies were switched off. Max heat was achieved with Intel thermal analysis tool (TAT). 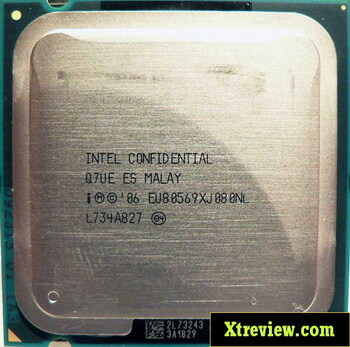 The cooler glacialTech igloo 5610 Silent is very weak for cooling properly the overclocked four core processor. 94 degrees in peak is a lot . 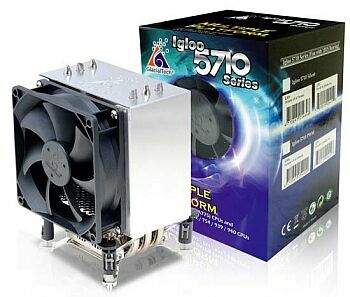 On open case igloo 5610 Silent cooled the processor by 6 degree Celsius better . 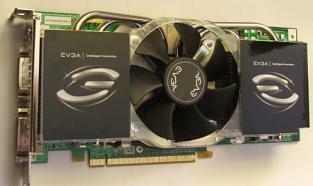 The second cooler glacialTech igloo 5710 Silent demonstrates better results . This cooler is more effective than Igloo 5610 Silent by 9~12 degree Celsius , and it is compared with respect to the effectiveness of Ice hammer IH-4300 B in the quiet fan regime . 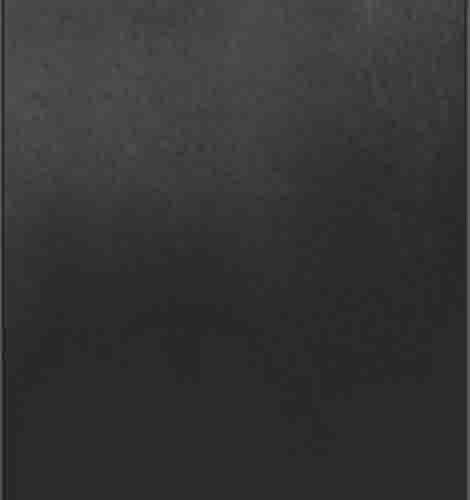 We note that IH-4300 B is cheaper than Igloo 5710 Silent. 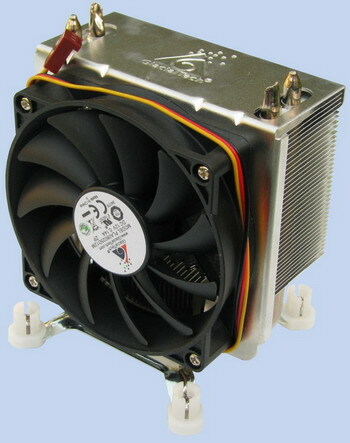 GlacialTech relate to the quiet cooler category this explain the obtained result , all cooler has about the same noise level. New cooler igloo 5610 Silent and Igloo 5710 Silent from GalcialTech proved to be sufficiently interesting .Cooling systems are sufficiently effective for their cost and have low noise level . But here igloo 5710 Silent is a bit overpriced. The interesting note in today tests that 20 US dollars cooler are able to overclock practically to 4 GHz the four core processor (45 NM) .